Our firm has been continuously serving the Tampa Bay Area since 1982. Since starting as a small Tax Preparation and Condominium Accounting firm, we have grown to serving a wide variety of clientele such as attorneys, real estate professionals, Homeowner Associations, estates/trusts, non profit organizations, retail, construction industries, and many others. Our mission has always been to help our clients increase their bottom line while paying the minimum legal taxes. We are proud of our reputation for professional and personal service. 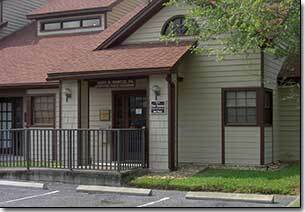 We have been active in the local community through Rotary and the Seminole Chamber of Commerce for over 25 years. Are you paying the lowest legal taxes? Please contact us for a complimentary interview without any obligation via e-mail at gmarcus1040@tampabay.rr.com or Contact Us Here. We have a complete line of services for the Homeowner Associations including Financial Statement Preparation, Processing of Maintenance Fees, and Tax Preparation. We provide Monthly, Quarterly, and Annual Bookkeeping Services. We can process payrolls as needed. Save money by allowing us to prepare your books for audit. We provide Tax Preparation Services for: Individuals, Corporations, Estates, Trusts, Exempt Organizations, and Homeowner Associations. Our services also include Sales Taxes, Payroll Taxes, and Tangible Property Taxes. We have a complete line of services for Condominium Associations including Financial Statement Preparation, Processing of Maintenance Fees, and Tax Preparation.